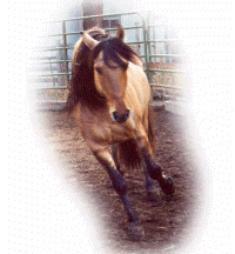 "Iberian Through Heritage, Pure In Heart, Spanish American Horse"
© Copyright 2003 - 2010 American Sulphur Horse Association. Note: All Images, Photographs, Documentation, etc. on this site are Copyrighted. Do not duplicate or redistribute in any form. All other usage or distribution is illegal under international copyright treaties. Permission to use any of these pages in any other way besides the before mentioned must be gained in writing from the copyright owners. The SulphurSprings Horse Registry Inc and the ASHA have merged together and joined forces in our efforts to save the Sulphur Horses from extinction.... The SSHR will be doing all of the registrations of the horses so that the ASHA can focus our efforts on research and public awareness to try to gain all of the help and support of the public as possible and by doing so we can hopefully accomplish our goals. We hope that by combining our efforts into one, we will be able to accomplish more.The American Sulphur Horse Association was formed in 2003 in efforts to preserve, promote and protect this beautiful Spanish Iberian horse. Read the history of the rare Spanish American Sulphur and what ASHA is doing with it's efforts to help preserve this unique breed of Spanish horse. Read our frequently asked questions page. 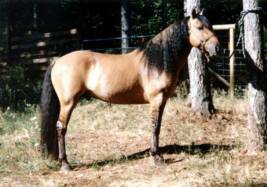 ASHA supports the purposeful breeding of the "Spanish-type". Our goal is not for the marketability of our Sulphur's, it is for the preservation of the Spanish Sulphur gene pool. The Iberian Sporthorse & Warmblood Registry, Inc. Now recognizes ASHA horses that have had the DNA parent tested as Purebred Iberian blood. They will enjoy the same breeding privileges as the PRE, PSL, American and Australian Andalusian. This is the original Iberian Warmblood registry since 1986.